Babri, Mughal emperor, would never have imagined that his decision had dramatic repercussions in India after nearly 500 years. In 1528 in fact, the emperor built the Babri Masjid, Babri Mosque, in Ayodhya , mythical place where , according to tradition, was born Rama, incarnation of the Hindu god Vishnu and the protagonist of the epic Ramayana. No problem arose until about sixty years ago, when Hindu extremist groups have begun to claim the land where the mosque had been built (more than 400 years before! ), arguing that in that specific area was a temple dedicated to the Hindu Rama. 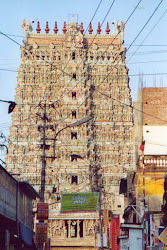 The disputes and controversy went on until 6 December 1992, when a mob of Hindu extremists literally razed the mosque and built on its ruins a makeshift temple in honor of Rama. To the demolition violent clashes followed across India during which an unknown number of people died even though official sources talk of 2,000 deaths mostly Muslims. Of course, the story did not end there, so it's been going on between high and low up to the judgment of the High Court of Allahabad in 2010 decided that the area where once stood the Babri Masjid had to be divided into three parts: one dedicated to the Hindu temple that is already there and the other two are intended respectively to the Hindu community and the Islamic one . The ruling was happy with everyone and no one at the same time and periodically revived the problem mainly because of the political exploitation by parties that leverage on "Hindu identity". And so a few days ago (remember that the crucial national elections of 2014 are approaching), the police arrested more than 1,200 extremists who wanted participate in the city of Ayodhya in an unauthorized demonstration called by the Vishwa Hindu Parishad, an Indian nationalist group.